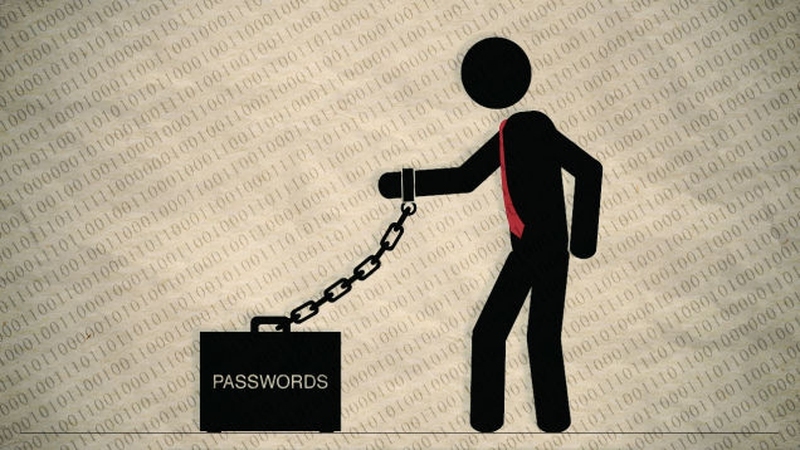 If you have several accounts to handle and remember, a password manager can be of great help. Then which password manager should you choose? It should store all your information securely. It should make logging into your various accounts easy. It should sync your data and allow you to access your passwords on your computer and (preferably) your mobile devices. The important thing is that, as life becomes more and more digital, you take action to secure access to your information. For those that want something discreet and aren't a fan of toolbars, LastPass Password Manager is the program to download. It operates as a small red icon with a star in the middle that automatically prompts you to save passwords every time you visit a site. It works best when you visit a site that a password is saved for. The LastPass box will immediately show up how many accounts have been saved for the site in question and these can be viewed by either clicking the star in the login form or by clicking the LastPass browser icon. LastPass offers the form filling and password generator that have become the standard of password managers and a premium account, which costs just $12 (around £8, or AU$16) per year, allows you to use it across mobile devices. When it comes to password managers, there aren't any that beat LastPass. Of all the password managers out there, PasswordBox has the most polished interface of them all by simply using the logos of each site that is saved to the vault. Even though many password managers are simple to operate, PasswordBox stands out as one for those that usually opt for the best looking application out there. Like LastPass, PasswordBox is a small browser extension that sits in the top right corner of any browser you have installed and it has an indicator that specifies when the extension is switched on. Using it is as easy as clicking the add-on and then choosing the website you want to visit that it will then log you into automatically. PasswordBox differs from the others in that it can be set up as the browser home page and every time you open a new tab it will give you a list of options to head to with the username and password filled in for instant login. It again offers the password generator option but this time there are options to specify the length of it as well as whether or not it should include letters, numbers, symbols or capital letters. Perhaps the best part about the service, which has just been acquired by Intel Security, is that the encrypted service is one of the only ones that can be downloaded on mobile devices without needing to fork out for a premium subscription. Password managers are almost expected to do a bit more than just lock away your prized safe words and RoboForm arguably does more than any other password manager out there. Running as a toolbar inside your browser, every option is immediately available to you every time a browser window is opened via the toolbar. RoboForm works by making you set up one master password, which you must remember, and this gives access to all your passwords as well as any other saved data such as form fill information, credit card numbers and other information you might want to save. When you save a password for a site it also gives you the option to add it to the RoboForm toolbar therefore giving you even easier access to your favourite sites and the strong AES encryption used makes RoboForm a strong option for all users. The program does fall down against others due to the fact you have to pay $10 (around £7 or AU$13) a month after the 30-day free trial, but the level of service, which also covers mobile devices, is sufficient enough that the small fee is by no means excessive. Unlike most of the other top password managers out there, Keeper Desktop, as the name suggests, runs from your computer and isn't simply a browser extension. What this does mean is that it's a lot more extensive than the others and therefore harder to setup for the everyday user. As is to be expected, users can download a browser extension that allows you to save details using the desktop program and then login automatically using the form fill feature that is built-in. Unfortunately this extra step, which isn't present in most other programs, could put off users that want a simple service to save passwords whilst in the browser window. With a billing that states it's the world's most secure password manager and digital vault out there you know that there's probably a small fee to pay and you wouldn't be wrong. The good news is that for one device it costs just $9.99 (around £7 or AU$13) a year and $29.99 (around £20, or AU$39) a year for the backup unlimited service, which covers any devices you want to keep secured. For that price you get unlimited password storage, encrypted cloud backup, secure sharing of passwords, web app access and the latter option also benefits from multi-device syncing to keep all your data up-to-date on whichever device you're using.